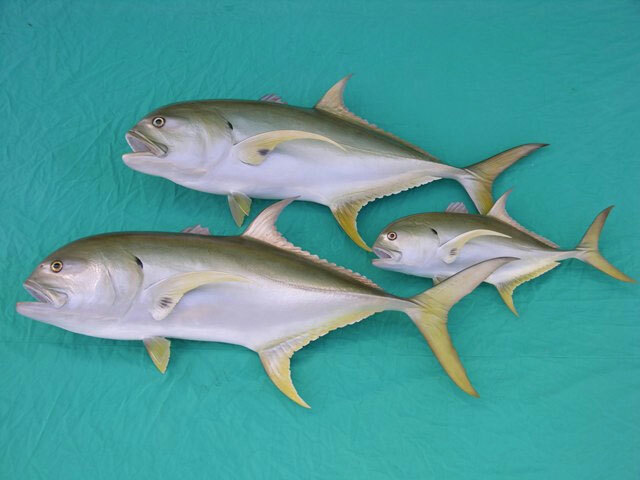 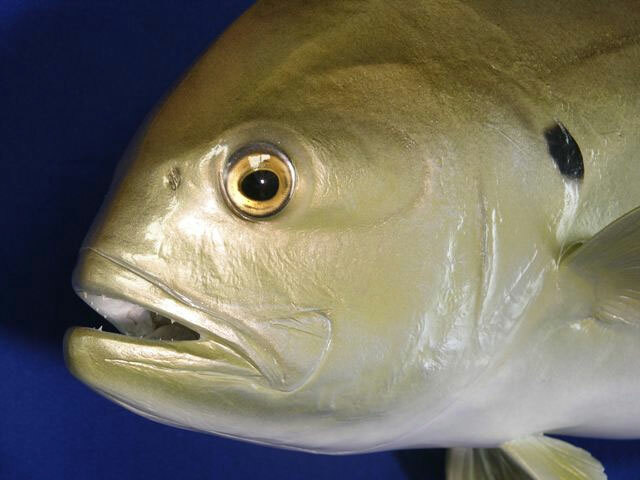 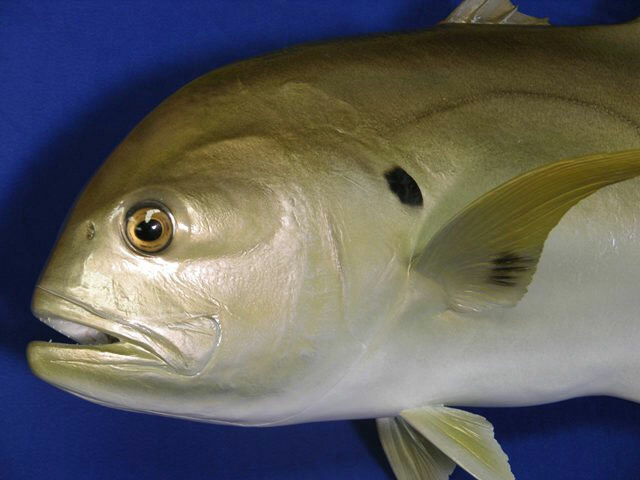 The crevalle jack, Caranx hippos (also known as the common jack, black-tailed trevally, couvalli jack, black cavalli and yellow cavalli) is a common species of large marine fish classified within the jack family, Carangidae. 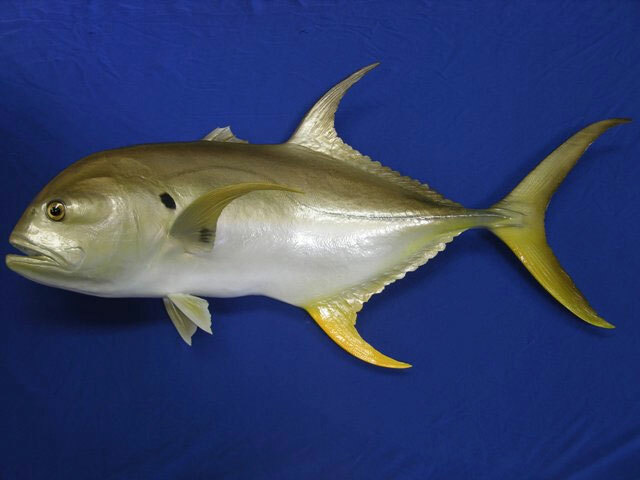 The crevalle jack is distributed across the tropical and temperate waters of the Atlantic Ocean, ranging from Nova Scotia, Canada to Uruguay in the west Atlantic and Portugal to Angola in the east Atlantic, including the Mediterranean Sea. 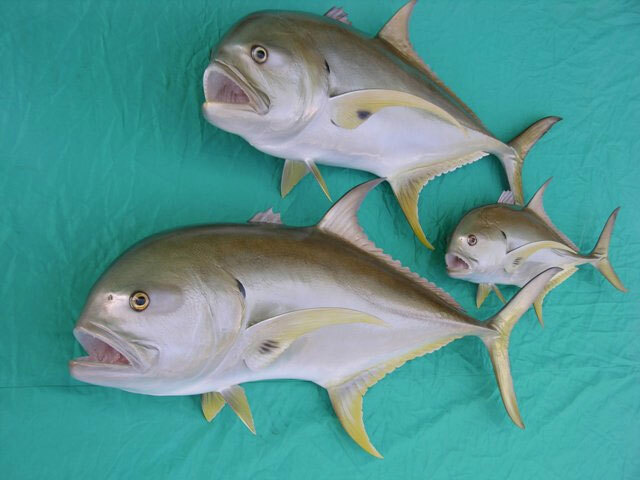 It is distinguishable from similar species by its deep body, fin colouration and a host of more detailed anatomical features, including fin ray and lateral line scale counts.